The owner contacted an animal rescuer, who left food and water for the animal until its owner could return. 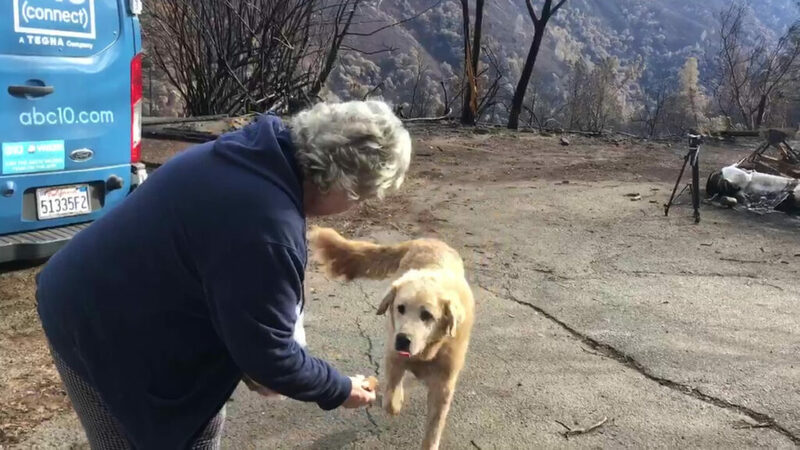 SAN FRANCISCO – A dog that survived the catastrophic wildfire in Northern California apparently protected the ruins of his home for almost a month until his owner returned. Shayla Sullivan said the outdoor guard dog was apprehensive and kept his distance. Sullivan left food and water for him regularly until Gaylord got back on Wednesday. She also helped locate Madison’s brother Miguel, another Anatolian shepherd mix that was taken to a shelter 85 miles away in the confusing aftermath of the wildfire.